Jim was BSAR stalwart. He joined in the late 70s and became a Field Organiser in the mid 80s, a position he held until his death. Jim attended over 25 searches and was Field Organiser on over 15. Jim was deployed with full alpine climbing kit on Mount Feathertop in 1983 when Stephen Galland fell near the summit and died. I was on that trip and greatly appreciated the efforts of Police and BSAR rescue teams. 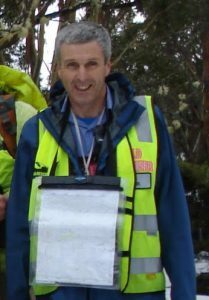 Jim was also Field Organiser on the very demanding search for Tom Kneen on Mt Feathertop in 1985. He started at Mt St Gwinear for a search that was resolved, then went to Mt Stirling for a search already in progress and was then redirected to Mt Feathertop. Jim assisted with the development of BSAR Steep Snow and Ice skills and training after these events. Most recently he was Field Organiser on the South Viking search in 2014. Steep Snow and Ice alpine training was held on 29-30 July 2017 at Mount Buller. 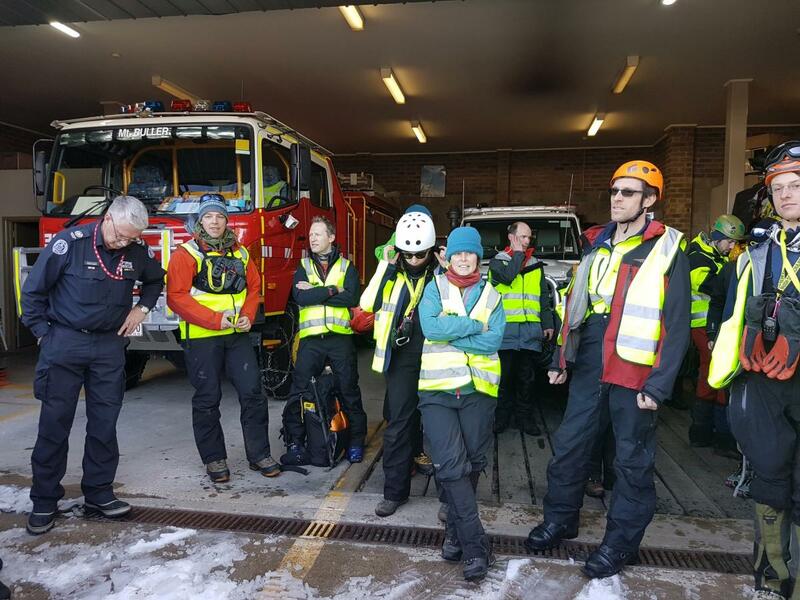 The training included travelling in alpine environments, snow and ice safety, rescue techniques, using crampons and ice axes, holding falls when roped and a demonstration of haulage equipment for steep terrain. Our thanks to Mount Buller CFA for allowing us to use their facility and dodge the very strong winds that came in on Saturday Night. Thanks also to the Mount Buller Ski Patrol for their support and hospitality.